MPs have voted in favor of the introduction of standardized cigarette packaging throughout the UK on Wednesday, meaning that from 2016 all packets would display graphic health warnings in place of brand designs. The measure, opposed by tobacco companies but which the government says will improve public health and cut the number of child smokers, was approved by 367 votes to 113 in the lower house of parliament. The decision follows the example of Ireland, which passed a similar law earlier this month, and Australia, which has sold plain pack cigarettes since 2012. The government began the process to alter packaging in 2011, and commissioned a consultation on the matter in 2012. 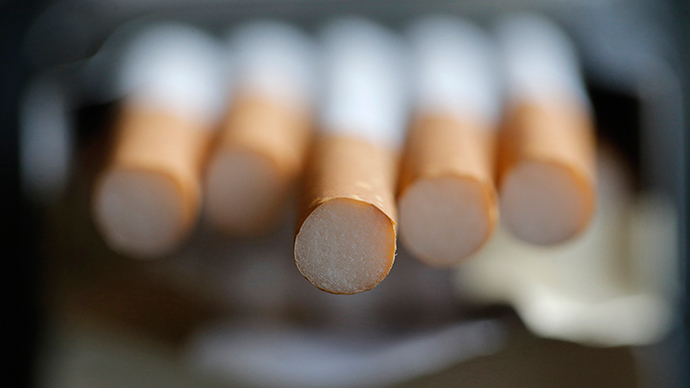 The issue appeared to fall off the political radar during 2013, with critics accusing the government of bowing to pressure from tobacco companies. But the plan was reinvigorated last year with a further review of public health benefits. The review, carried out by pediatrician Sir Cyril Chantler, found that plain packaging would lead to a small but significant reduction in the number of people taking up smoking. Current figures suggest more than 600 children between the ages of 11 and 15 take up smoking every day. Chantler’s study said that number could be cut by 2 percent, meaning 4,000 fewer children each year. Research into the psychological effects of packaging shows that plain packs are less appealing. As darker colors have stronger associations with ill health, a standardized olive green design has been proposed, rather than white. Alison Cox, of Cancer Research UK, said there was a “growing weight of evidence” the move would have an impact. The regulations surrounding the move were discussed by a committee earlier this week, and a free vote will be held later Wednesday. Owing to the fact it is not primary legislation, there will not be any further debate. Most MPs are expected to vote in favor of plain packaging, but some have expressed their concern at the lack of debate. If the changes are passed, they will be the latest in an ongoing series of measures which have seen smoking de-glamorized. Cigarette adverts were first banned from television in 1965, and in 1971 it was announced that packs must display health warnings. One of the boldest laws was passed in 2007, when smoking inside public buildings was banned. Earlier this year, ministers voted in favor of banning smoking in cars when children are present.